Update: Where are the Infinity Stones after 2017's Thor: Ragnarok? The Marvel Cinematic Universe’s Phase 2 upped the narrative ante by actually introducing an overarching story to all the various big-screen proceedings. 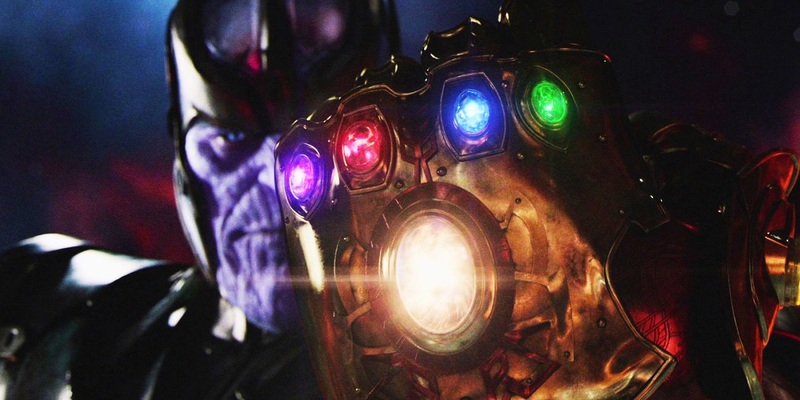 Whereas there was just a collection of films that led to a massive (and massively successful) superhero team-up in The Avengers, the past three years have detailed how uber-bad-guy Thanos (Josh Brolin) has been covertly attempting to unite all six Infinity Stones together into his Infinity Gauntlet, making him the most powerful entity in the universe. These Stones have remained something of a mystery, but one that we fully expect to be laid bare in Phase 3, which kicked off with this summer’s Captain America: Civil War. Here’s what we know thus far: Six singularities predated the Big Bang and now exist as six different indestructible objects. Each of these gems (as they’re known in the comic-book source material) represents a different aspect of the cosmos, and, if combined, they imbue their wielder with essentially the power of a god – he could alter, destroy, or recreate space and time as we know it, and is even given dominion over the souls of both the living and the dead. This is exactly the doomsday scenario that the MCU is now counting down to. The appropriately-named The Avengers: Infinity War, which releases in May 2018, is expected to have Thanos bring his galactic conquest to Earth, presumably to nab the last of the Stones and wipe out all existence as we know it. This means keeping track of each one of the artifacts is more important than ever before – and given that more stones have been revealed and others have moved around since we published our last Infinity Stones guide, it's time for a quick update and refresher course in what the Stones are, and where they are right now. The Tesseract is an object initially introduced in Thor (May 2011), and at first it was believed to simply be a generic MacGuffin – serving to motivate Loki’s (Tom Hiddleston) invasion of Earth in the following year’s Avengers – more than anything else. It wasn't until the sequel, Thor: The Dark World (November 2013), that audiences learned that it is one of the fabled Infinity Stones, and it was more recently still that we discovered that the cube itself is actually a protective case that allows “lesser” lifeforms to handle the gem within without frying themselves – or those around them. The blue Space Stone allows one mastery over (you guessed it) space - for example, providing the ability to create teleportation portals. After originally being guarded over by Odin (Anthony Hopkins), the king of Asgard and its Nine Realms (which includes Earth), it was lost during a campaign on our lowly planet some thousand years ago. It wasn’t rediscovered until World War II by that pesky terrorist organization Hydra (in 2011’s Captain America: The First Avenger), which, in turn, passed it on to S.H.I.E.L.D. - whose director, Nick Fury (Samuel L. Jackson), attempted to use it to create a whole new breed of energy-based weaponry. After Loki successfully employed the Space Stone to land his extraterrestrial troops during his failed conquest of Earth, the Asgardians rightfully reclaim it and currently have it stored safely away in Odin’s vault once more. Originally introduced as the Aether in Thor: The Dark World, this mesmerizing liquid can actually congeal and solidify itself into the red Reality Stone proper, as witnessed in Thor’s (Chris Hemsworth) vision during 2015’s The Avengers: Age of Ultron. An “ancient force of infinite destruction,” the scope of its powers is unknown – as it remains the least-seen and used Infinity Stone in the Marvel Cinematic Universe to date – but its effects can be extremely far-reaching and dangerous, especially if it inhabits an individual’s body while in its Aether form. What is better known is its whereabouts over the past several thousand years. Originally, Malekith (Christopher Eccleston), the leader of the Dark Elves (one of the more unruly inhabitants of the Nine Realms), was its owner – until he attempted to rise up and use it to blot out all light (and, possibly, most of the life) in the galaxy. Bor, Thor’s grandfather, stopped him, took possession of the Reality Stone, and hid it away in a stone column on a distant, unknown planet. It remained dormant there until it is accidentally happened upon in The Dark World. Once reclaimed, the Asgardians once again have to deal with where to safely store it so that it will never be disturbed again (keeping it in Asgard itself is out of the question, as having two Infinity Stones so close together is considered disastrous). Their solution is to turn it over to Taneleer Tivan (Benicio del Toro), better known as the Collector, as his museum is one of the most safeguarded locations in the entire galaxy. The only problem with this solution is that Taneleer is, well, a collector – and now that he has one Stone, he begins the hunt for the five others. Left abandoned on a long-dead planet, Morag, for countless centuries (if not longer), the purple Power Stone – encased in a protective shell the shape of an orb – finally found its way back into galactic society thanks to the efforts of Ronan the Accuser (Lee Pace), a terrorist member of the Kree species who wished to use it to destroy the homeworld of his sworn enemy, the Nova Empire. Although the Power Stone does contain enough power to decimate an entire planet, only a being of the proper stature can wield it – which is where the Mad Titan Thanos enters the picture, offering to carry out Ronan’s quest for vengeance in exchange for keeping the gem for himself. Peter Quill (Chris Pratt), an interstellar opportunist, snatched the Orb first, seeking to pawn it off to the highest bidder. By the end of Guardians of the Galaxy (August 2014), however, he learned the true nature – and origin – of the artifact and instead handed it over to the Nova Corps, the armed forces of the mighty Nova Empire, which (theoretically) has the resources to protect the Infinity Stone and ensure it never falls into the wrong hands again. It has been residing in the Corps’ storehouse for the past two years, awaiting the day when Thanos can somehow find another way to claim it for his galactic conquest (which just may end up happening in next summer’s Guardians of the Galaxy, Vol. 2). The yellow Mind Stone just may have the most interesting story of all the Infinity Stones seen thus far. Thanos hid it inside a scepter that was loaned to Loki, along with a massive Chitauri invasion force, for the Asgardian’s attempted enslavement of Earth in The Avengers. S.H.I.E.L.D. was allowed to retain the alien object for study, which meant it eventually fell into Hydra’s hands and became the basis for two interrelated experiments: Baron Wolfgang von Strucker (Thomas Kretschmann) used the AI embedded in the scepter, which was designed to help protect the Mind Stone, as the basis for an armada of robot soldiers; Dr. List (Henry Goodman), his aide, meanwhile, utilized the gem’s raw powers to transform ordinary humans into superpowered beings. Once the Avengers tracked the scepter down in Age of Ultron, they end up using it in much the same way as their Hydra adversaries, ultimately resulting in the creation of a sentient android that houses the artifact on his forehead. The Vision (Paul Bettany), as he comes to be called, is allowed by Thor to retain this power source, since he is one of the most powerful beings in the known cosmos. In addition to being able to wield the awesome powers of the Mind Stone, his synthetic skin is laced with Vibranium, the near-indestructible material that both Captain America’s (Chris Evans) shield and Black Panther’s (Chadwick Boseman) armor are made out of. Whereas Asgard can be breached and the Collector’s museum can be ransacked, it’s hard to think of a scenario in which the Vision can be easily taken out, which means that the scene where Thanos finally comes home to reclaim his prized possession is highly anticipated. This one takes a little bit of explaining. An order of sorcerers has operated on Earth for millennia, tapping into the multiple dimensions and the near-infinite flow of energies throughout the multiverse in order to perform what ordinary humans think of as magic. The head of this organization, called the Sorcerer Supreme, leads his or her brothers and sisters in defending the planet from the various “mystic” dangers of the cosmos in much the same way that the Avengers defend against physical threats. The first of these Sorcerers Supreme created a pendant known as the Eye of Agamotto in order to insert the green Time Stone inside of it, presumably to hide it from external threats just as much from his own followers, who could cause irreparable damage to the space-time continuum if they used the magical item without the proper instruction or supervision. Unlike all the other Infinity Stones up until this point, the Eye of Agamotto remains with its long-standing owners, safely ensconced inside the majestic library of Kamar-Taj, the headquarters of the Masters of the Mystical Arts. One of the few masters capable of safely harnessing the relic’s power is Dr. Stephen Strange (Benedict Cumberbatch), who, by the end of this month’s Doctor Strange, is well on his way to becoming the latest Sorcerer Supreme – though he may have a long way to go yet before either assuming that mantle or discovering all of the Time Stone's secrets. The sixth and final Infinity Stone, the orange Soul Stone has yet to be revealed in the Marvel Cinematic Universe – either its current location or the nature of its powers. We can use the storytelling sensibilities displayed thus far in the MCU, however, along with a dab of information from the comic-book mythology, in order to fill in some of the holes. Given that each of the other gems has been transplanted to its new (or, in the case of Doctor Strange, its old) home once a year for the past four years, it’s more than safe to assume that the Soul Stone will make its grand debut in one of 2017’s three films: May’s Guardians of the Galaxy, Vol. 2, July’s Spider-Man: Homecoming, or November’s Thor: Ragnarok (an assumption that’s made all the surer by the simple fact that Thanos will already need to be assembling the artifacts in 2018’s Avengers: Infinity War). While it’s likely that the next Guardians will be the showcase for the final Stone, our money is actually on Ragnorak; Marvel Studios has already pointed out that the third Thor entry will be the direct lead-in to Infinity War, and the original adventure of Peter Quill and company was used to not only unveil a previous Infinity Stone, but establish the entire backstory and mythology of the indestructible items, as well. As for the Soul Stone’s abilities, in the comics it has been shown to control, if not outright “steal,” the souls of any being that’s either alive or dead, as well as transport its user to heaven itself – or, at least, a recreation of it in an alternate dimension. Whether these powers will translate directly to the big screen will have to be seen. Fortunately, the wait will now be no longer than a year.